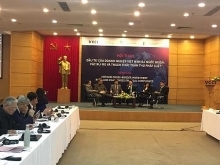 (VEN) - A conference on diversifying the management and operation of Vietnamese airports organized by the Civil Aviation Authority of Vietnam recently took place in cooperation with the Labor Newspaper in Hanoi. 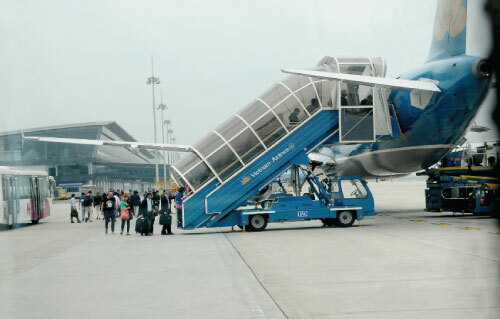 Civil Aviation Authority of Vietnam Director Lai Xuan Thanh said that the Vietnamese aviation sector has ensured flight operations and promoted investment in infrastructure and aircrafts, basically meeting the sector’s development needs. However, investment from the state budget and government bonds accounted for just five percent of total investment, while the remainder had come from non-budget investment capital. He also added that investment capital poured into aviation infrastructure during the 2001-2014 period reached VND48.317 trillion, accounting for 38.5 percent of total investment capital. Of this, private capital accounted for five percent, reaching VND5.291 trillion. However, due to increased need for upgraded and new airports the aviation sector will have to attract investment in building the Long Thanh and Van Dong airports, expanding Noi Bai, Da Nang and Cam Ranh international airports and upgrading local airports by 2030. In the 2015-2020 period, total investment is expected to reach around VND230.215 trillion. However, investment from enterprises and capital from the state budget will only partially meet this. Therefore, new ways of attracting capital are required. The Ministry of Transport has worked on ways to boost investment into the sector. Following the Ministry of Transport’s guidance, a number of businesses have lodged proposals to manage Noi Bai International Airport’s T1 Terminal, Phu Quoc and Da Nang international airports. This has seen as a good sign for a new development stage of the Vietnamese aviation sector. However many problems related to the participation of private enterprises in the aviation market exist. Issues include how to manage bids for the operation, the evaluation of state assets, financial capacity and management level. VietJet Aviation Joint Stock Company Deputy General Director Nguyen Duc Tam agreed on persifying management and operations at airports based on modern models and applying advanced technology on principles of transparency and equality between state and private enterprises./.